If you are a new blogger and looking to increase your pageviews and traffic then you can use the pinging technique . The blog is just like a human body which is dependent on many resources. Body needs food , air , water and other things and without them body cannot survive. Likewise , Blog depends on Content, Traffic , Backlinks and other stuffs . Without them a blog is dead . So, it is very much necessary to optimize your blog. 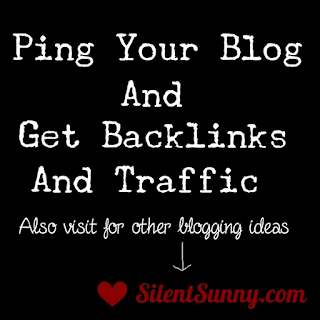 Once you are done with the content part , you should focus on pinging your blog to search engines and directories. What is Pinging Your Blog ? 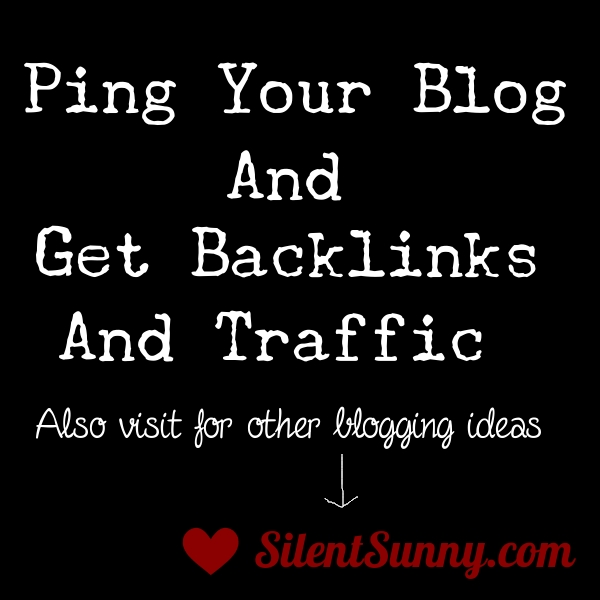 In simple terms Pinging is a service which tells the search engine that your blog exists. When you submit your site to search engine through pinging site ( see below list for sites ) , these sites send their spiders/bots to crawl your site and index the contents quickly . And this helps your site to rank well in search engine which in turn brings traffic to your blog . When Should I Ping my Site ? You can submit your site whenever you post new content or updates. I suggest to submit your site once a week or month . Do not spam them by pinging daily or several times daily. If you do then you will end up get banned.